Order in the next 3 hours, 15 minutes an 8 seconds for same day shipping. This stamp is ideal for your administrative tasks in the office. Trodat Printy 4750/L1 comes ready-to-use with RECEIVED printed above a 4 mm date. The text has the size of 39 x 23 mm and prints in blue. Being one of Trodat's bestsellers, the stamp is climate-neutral: made from 70% of recycled plastics. 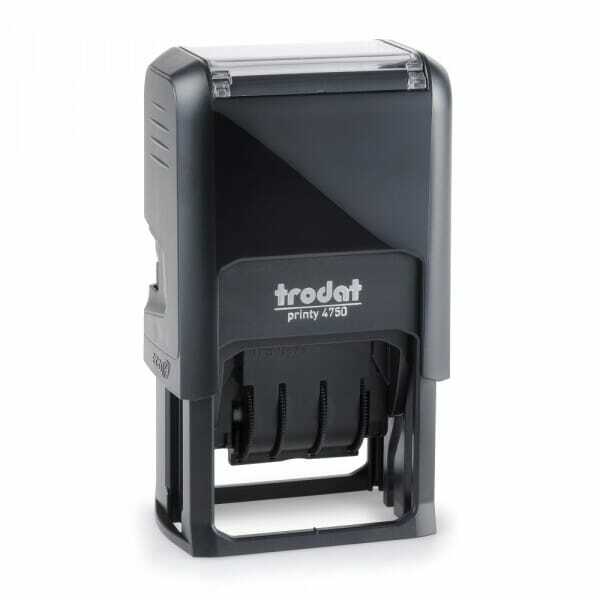 Customer evaluation for "Trodat Printy Dater 4750L1 - Received"